I’ve been holding out on you. I’ve been making mini egg frittatas for at least a year and have yet to give you the very basic recipe. These mini frittatas are great as part of a large brunch spread, or are perfect for make-ahead breakfasts for the week. I love them because they’re so easy to customize, so you can make them to order or have a ton of variety so you don’t get bored with the same thing day after day. I’ve made these simple with just cheese and herbs, or you can add other vegetables like roasted broccoli, chopped spinach, diced peppers, or add in some meat, like ham or crispy bacon. I like to do a mix of whole eggs and egg whites, this way you still get the nutrients from the egg yolks, but keep the cholesterol and calories lower. However, you can easily make these with all whole eggs or all egg whites. Preheat oven to 350°F. Grease a muffin tin with cooking spray and set aside. In a large bowl, whisk together eggs, egg whites, salt and pepper. 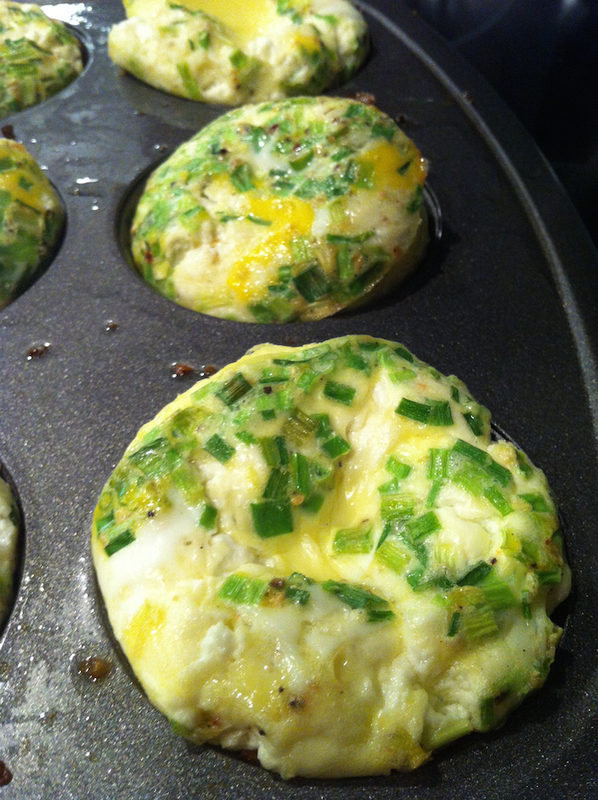 Divide chives and cheese (and other mix-ins) among the muffin tins, then ladle egg over the top until almost full. Bake for about 18-22 minutes, or until eggs are puffed up and set in the center. I with I lived closer so that I could be your tester!